Nokia has been busy since it launched the first devices to run on the new Microsoft Windows Phone 8 platform by offering handsets at a number of price levels, and now the Nokia Lumia 620 has been priced and launched in India. The handset was first announced back in December and since then has become available on the likes of O2 in the UK, but in India the handset was expected to be available last month but never appeared. Now though the device is available via Nokia’s online shop to purchase and is priced at Rs. 14,999 with deliveries expected to be fulfilled within seven working days. To recap the Nokia Lumia 620 specs include a 3.8-inch 800 x 480 resolution ClearBlack display, which is powered by a dual core Snapdragon S4 processor clocked at 1GHz and paired with 512MB of RAM. There is 8GB of on board storage that is expandable by another 64GB thanks to a microSD card port, and a 5-megapixel rear camera capable of 720p video capture, VGA front facing camera, and a 13000 mAh battery pack. Connectivity wise the handset supports 3G and Wi-Fi a/b/g/n, and users will also get 7GB of SkyDrive cloud storage with the handset, which is available in a number of colourful options. For consumers looking to have a taste of WP8 but don’t want to splash out to much cash the Nokia Lumia 620 may be the ideal choice. 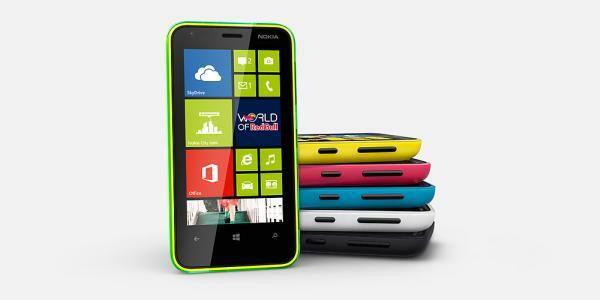 Do you plan to get the Nokia Lumia 620?